At Camp Bow Wow Hutto, we believe every dog should have a loving fur-ever home. We work closely with local shelters and rescues to help with their adoption efforts, and often have foster dogs staying at Camp. These dogs get to play all day with other Campers, snooze the night away in individual Cabins, and get lots of love and attention from our Certified Camp Counselors®. 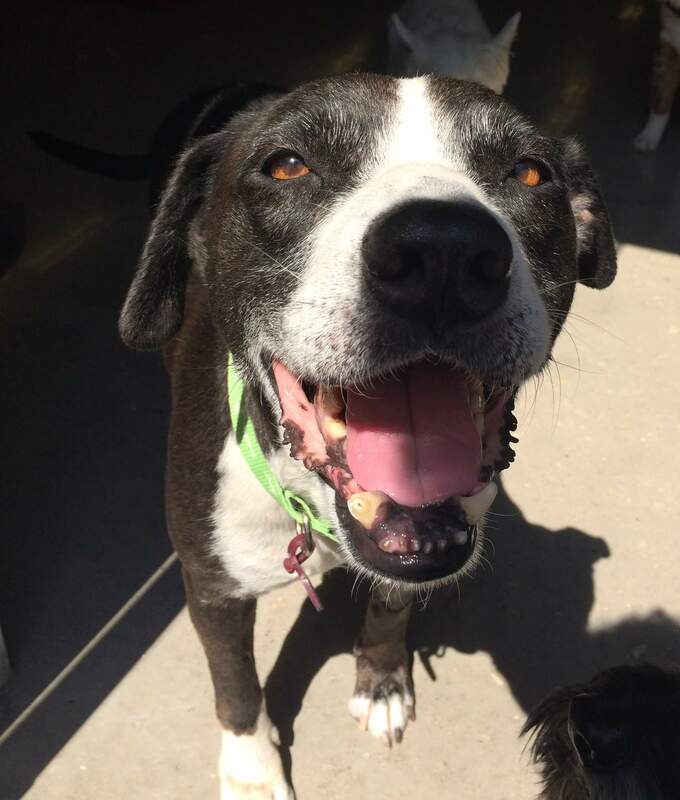 Personality: Bella Donna is a shy, loving and sweet 3-year old. Enjoying a good belly rub and playing fetch are some of Bella's favorties. She does get along with other dogs however because of her shyness we feel that Bella would do best as the only 4-legged member of the family. Call Camp to set up a meet and greet with Bella Donna today. Adoption Information: Call Camp to set up a meet and greet with Bella Donna today. Personality: Please welcome Sherry! Sherry is an 8 year old mixed breed. She weighs 48 pounds and she is in great health. Sherry is SUPER sweet! She likes to play but she also likes to hang out. She is ready to meet her new Fur-ever family. Adoption Information: Call the Williamson County Regional Shelter at 512-943-3322 to set up a time to meet Sherry.